Breakfast empowers you energy whole day. You should do breakfast. If for some reason you cannot take breakfast then you should intake such food which is full of energy. 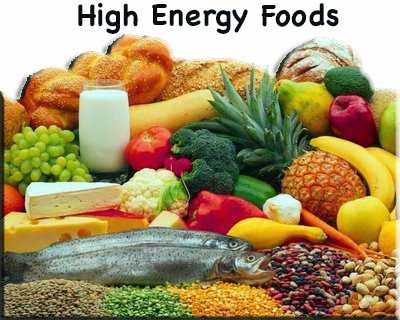 Let us know such food which gives you full energy. Carbohydrates: Carbohydrates supply adequate glucose in the body. So you should intake potatoes or white flour everyday. Brown Rice: White rice is more beneficial than eating brown rice. The body gets all the energy. Potato: Potatoes gives carbohydrates for the body. Sweet potato is also a kind of potato. It has plentiful energy. It contains vitamin A and C.
Honey: Honey has natural sweetness that gives energy to the body. Calories do not increase in the body. Apple: Apples are rich in iron. Also, it has high amount of fiber. Banana: Banana has very good energy. It gives so much energy that your body will not feel energy less whole day. But if you intake banana with black salt then it gives more benefit. Spinach: Spinach is rich in vitamins. Furthermore, it has high iron. Spinach is very beneficial for women's bodies. Almond: Almonds are high in vitamin E. Keep 5 almonds in water and eat it. It gives power to the body. Egg: Boil the eggs and mix salt in it. It gives power to the body. They are also rich in protein. The energy from the egg is natural and does not have side effects.